Say “Harpy Eagle” to a Birder (or bird watcher) and they may assume a far off, dreamy gaze thinking of the rarity of sighting these birds in the wilds of the Amazon. 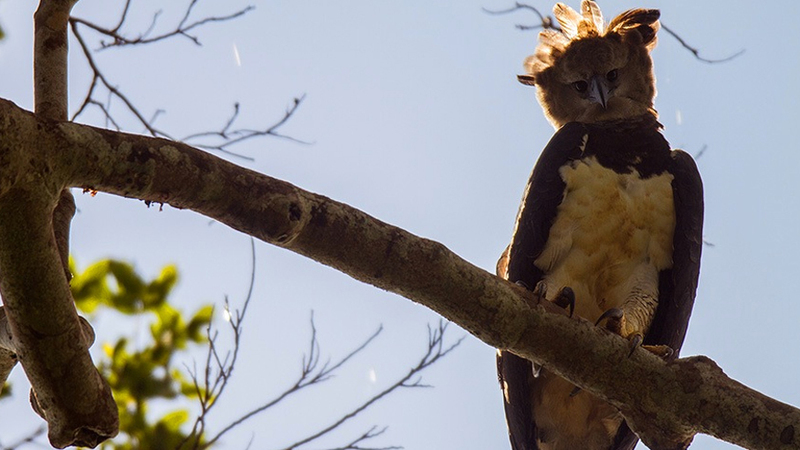 Described as the “unicorn” of bird watching, the harpy eagle has wingspans reaching 7ft, talons to snap the neck a monkey, and are worshiped as gods in local custom. There is an irony in that these rare birds, who nest in the forest canopy, were recently sighted in the wild by photographers who typically are looking down at snakes and other reptiles. 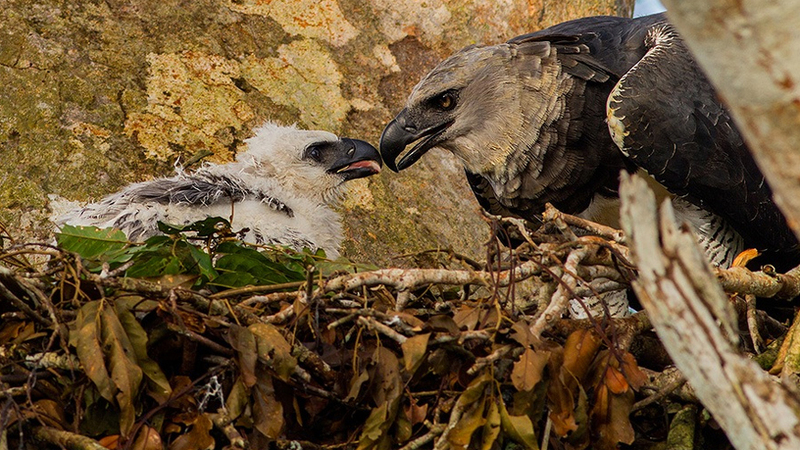 Jeff Cremer, Lucas Bustamante, Jaime Culebras of TropicalHerping spied a mated set of eagles and their chick, happily munching the sloth and porcupine they brought home for dinner. The trio were fortunate enough to film the three eagles for several minutes. Read more and see the video at FOX News.